David Bowie has given his permission for the first time for his songs to be turned into a show called Heroes: The Musical which has been described as a futuristic fantasy which will be based on the story of Major Tom, the star man and a young man called David. 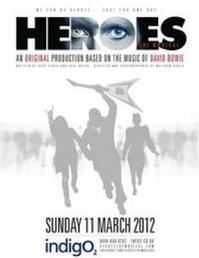 Heroes is a classic 1977 David Bowie track which is considered to be one of the greatest singles of all time. Deep Singh wrote the musical and told the Observer: "We could not really believe it when they gave us permission. His people had warned us that it was very unlikely that he would be interested and that he had been asked many times before. We did not want Mr Bowie to think it was going to be a tribute show, and that seems to have had an effect. Mr Bowie's representatives have been incredibly supportive when we have asked them for things and yet hands-off in terms of letting us get on with the project." Heroes: The Musical will be directed and choreographed by Matthew Gould and will feature around 20 songs including Heroes, The Man Who Sold the World and Let's Dance. Gould said: "We want the audience to become involved with the characters. There is a fear a whole generation might not get to hear Bowie's extraordinary music without a show like this." 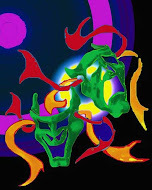 The world premiere will take place at IndigO2 on Sunday 11th March 2012 with proceeds going to three charities, the Orpheus Centre, Albert & Friends Instant Circus and Youth Music Theatre UK.